Espirit, an upscale Assisted Living Facility located at 17555 Emmet Street, is eager to have local artists show their art work. Sharon Clawson advises there are two nice long walls which are well lit. One artist would probably only use one of the walls. There is space for at least 20 pieces each wall dependent on how large the pieces. They have a handyman who will hang the art for you as long as you are present to direct where to place. They would also welcome a public reception. If interested, please contact Kristine Scott at 402.932.7300. My name is Sandy Powers and, as a fellow OAI and ANAC member, I’m inviting you to join me on the ground level of an extraordinary art opportunity. I’ve been given permission to create an art program for the residents, both men and women, of the Open Door Mission (ODM) but I humbly submit I cannot do it alone. As artists, we already know the power of expressing ourselves through art; the peace, joy, vulnerability, clarity, healing, and transformation that can come from both the process and the final piece. Imagine bringing this to our neighbors-in-need at ODM! Imagine what their art might look like. Imagine the potential for healing, even change. If you’re interested in being part of group emails and/or a few brainstorming sessions, please email me at your earliest convenience. Combining our creative gifts will result in an amazing program. ANAC: Joanne Nielsen reported ANAC dues have been raised to $12 effective 2015. Those members who have paid $10 owe an additional $2. See details in newsletter and the dues are due in February 2015. Art Shows: No report; see the newsletter for the upcoming registration, reception, and tear down dates for the Winter Show (Ancestral Connections) at the Hot Shops. Art Bridge: Carol Coppi reported no October meeting. November's class is Becky Kinlock with Zentangles. Community Art Reach: No Report; reminder in the newsletter to bring items to donate to the children's hospital at the November Fun Shop meeting. Courtesy: Dorothy Tuma reported two welcome cards were sent. See newsletter for details. Programs: Dori Settles reported that Mark Gutierrez is the presenter at the October evening meeting. There will be no meeting or program in December. Publicity: Duane Pieper left posters and flyers to be distributed at tonight's meeting. Fun Shops: Lavonne Tripp announced the November Fun Shop will be a pot luck lunch at the Hot Shops in the gallery where our show is being held. We will make cards for the Courtesy program. See the newsletter for details. There is no December Fun Shop. After Hours: Dori Settles reported the November meeting will be held on Tuesday Nov. 18 at the Hot Shops. The plan is to meet at Hot Shops at 6:00 pm, carpool at approximately 6:10 pm to the Omaha Artists Coop in the Old Market (parking may be limited), see the current shows (about 1/2 hour) and then return to the Hot Shops. The program will be the same as what the Fun Shop will be the following day - pot luck, drinks, and creating cards for the Courtesy program. Host: We are still seeking volunteers to help at the General meetings. Membership: Katrina reported the membership is at 139. Newsletter: Deadline for November newsletter is October 30th. Deadline for January is December 15th. Web Master: Susan Stevens reported the website now has a new look and other advantages such as payments via PayPal. Check it out! The Winter Art Show will be at the Jewish Community Center. 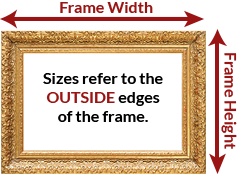 These Measurements Refer to the Outside Edges of the Frame. If one of your entries is 24 X 30, you can only enter 2 pieces. If you have questions, please call Sharon Clawson at 402-672-7536. Registration: Sunday, February 1, 1-3 pm. Spring Show at Hot Shops in April - Dates to Follow! Coming up in November we have two meetings. Instead of our usual fun shop or luncheon we are having a Fun Shop/Potluck on Wednesday the 19th at Hot Shops Art Center. Bring your art supplies to work on cards and a dish or dessert to share. OAI After Hours is getting together at 6pm on Tuesday, Nov. 18th to tour the Artists Cooperative Gallery, make cards at Hot Shops Art Center, and have a Potluck. Community Outreach: Every year at the November Potluck Sara Sumnick Wamsat gathers donations of art supplies and makes packets for the Lied Transplant Center’s Life Care Center Art Cart for patients awaiting transplants. Please bring any donations to the November Fun Shop/Potluck. If you are unable to attend or shop for supplies a monetary donation helps to fill in areas we need or are short on. A detailed list of items is on page 2 of the newsletter under Community Outreach or in the roster. The OAI Meeting is on Tuesday, Nov.18 at the Hot Shops Art Center. We are being led by Dorothy Tuma and Jean Barban. Meet the group at Hot Shops at 6pm, and then carpool to the Omaha Artists Coop in the Old Market (parking may be limited) to see the current show. The carpool will take off around 6:10. Feel free to meet us at the Artists Cooperative Gallery, 405 South 11th St. as we expect the tour to last about 1/2 hour, so if you’re running behind, please come straight to Hot Shops. After the tour we will go back to Hot Shops where we will have a potluck and drinks will be provided. Bring your favorite art supplies to create/decorate the cards for the Hospitality Committee. Dorothy has cards are hand for you to design. drinks will be provided. Omaha Artists donates art supplies and teachers monthly at Augustana Lutheran Church’s ESL site for refugees….primarily from Burma. We instruct in basic skills using crayons, markers, watercolors, acrylics, scissors, glue and lots of imagination. Each student takes home a piece of art after each lesson. We say “good job” (a little USA lingo) and we mean it !!! We meet the 2nd Wednesday of each month, September thru May. 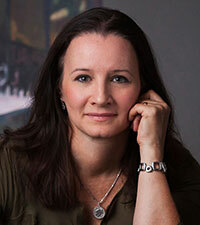 Wednesday Feb. 11th ….Watercolor Faces ... with Lourdes O’Leary.